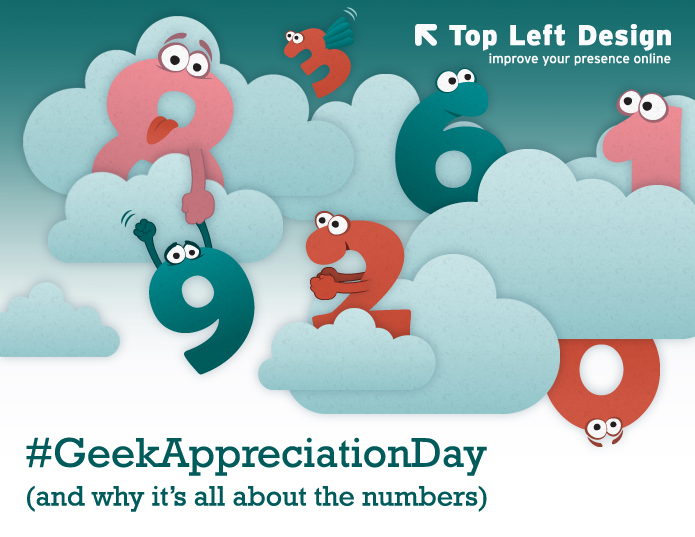 Top Left Design July 2012 News - It's all in the numbers and Geek Appreciation Day! This issue is dedicated to "geeks" everywhere. We initially came up with the concept of "Geek Appreciation Day" (July 11th, every year, starting yesterday) because we designers really REALLY appreciate the coders here who work - tirelessly - to make our designs work in browsers and our websites "come to life" - they are patient and understand our high expectations of pixel perfection. 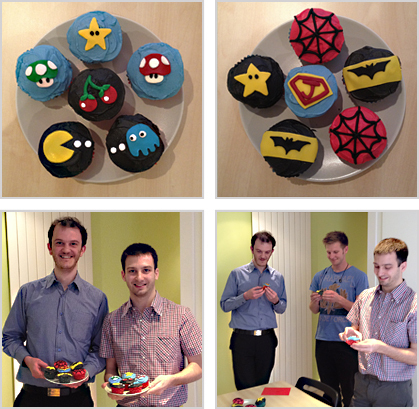 We honoured Kevin and JP in our office with cupcakes and a celebration of thankfulness. And this goes out to geeks everywhere - we salute you!. Read this post to see pictures of the special "Geek Cupcakes" - made by Tamlyn - and 6 reasons why we appreciate the geeks. 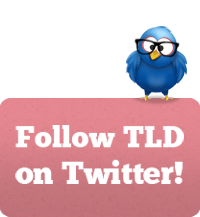 2 extremely useful blog posts! As well as geeks, we want to emphasise the beauty and importance of numbers. That's why there are numbers all over this page! Even if you feel you aren't good at maths (like some of us feel here at TLD) we need them in business! For example - according to a Hubspot survey, a blog gets you 55% more traffic to your website. And there will be 4 million extra people in London during the Olympics - and that's a number we are sure to notice! 36 ways to be more productive at work than you ever thought possible! It was actually one of these wonderful geeks who took the time to get in touch with us via the form on our website to alert us of the fact that a company in Mumbai had COMPLETELY ripped off our website. We wrote the company an angry email and asked their hosts to take that copycat site down - and after doing some more angry messages and talking to Google, - we succeeded! And we got hundreds of comments and messages of support on Twitter, LinkedIn, Facebook and our blog. Check out the blog post about it here - and also our Storify page about it too - with a collection of all the Tweets! Bittersweet news for those of you who don't know. 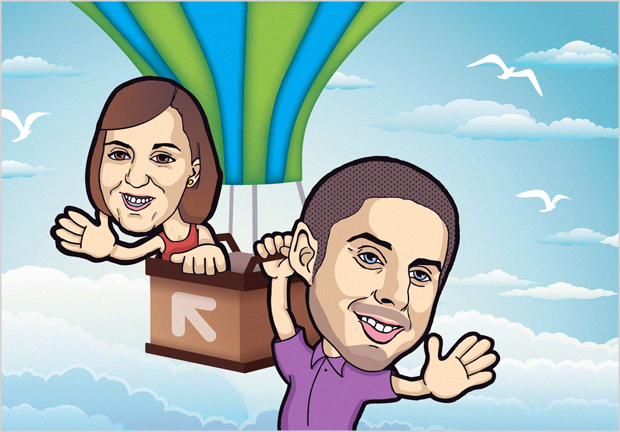 Tina went away on her travels around the world - you can read her blog about it here. Michael won a competition at Google Startup Weekend and has now started his own business "Pollarize Me" - with his fellow team members. See this post here if you missed it. We miss them but it's happy news really! On the 26th of May 2012 - the EU cookie law came into effect. We spent a lot of time researching different businesses and how they are reacting to this - and sent a bulletin to our clients with the options available, and our cookie audit service. More on the cookie law here! Loyal readers who got to the bottom of this email and are still with us - you are in for a treat. You could get one of these fantastic Oyster Card holders - FREE - simply email us with the subject "Oh I would love an Oyster card holder from TLD" and also include your address - and we will post it off to you. We will do this for the first 8 people who get in touch! YAY! Whether you do or don't read our two posts - remember this one last thought - first said by a friend of ours. "You get what you measure". Trust us on this one. And see you next month!